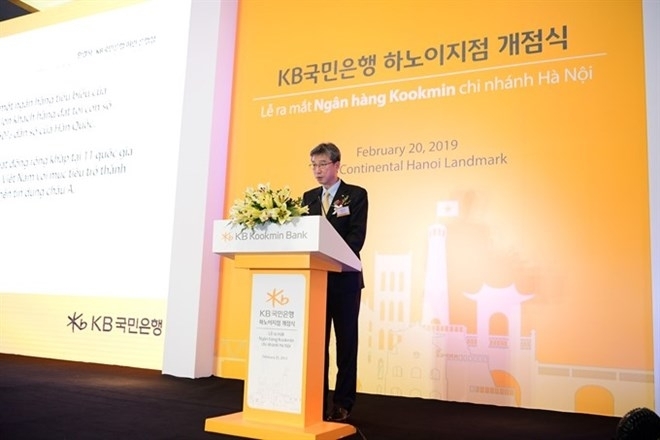 Kookmin Bank of the Korean KB Group has opened its first branch in Hanoi on the 25th floor of Landmark72 building after receiving approval from the State Bank of Vietnam (SBV). Kookmin Bank will provide financial services to Korean Corporations and continuously promote investment in northern Vietnam. 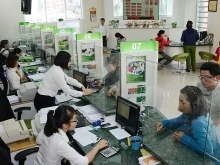 It also plans to develop financial services for individual Vietnamese customers by developing a digital banking service. CEO Hur Yin said Vietnam is a great market in which to develop advanced financial services from the Republic of Korea. “There are 150,000 Korean people living in Vietnam and 7,000 Korean enterprises operating in the country, the cooperation and exchange between Vietnam and the Republic of Korea will increase rapidly,” he said.